For a given patent (or patent application), a forward citation is another patent document’s citation back to that given earlier patent (from the perspective of the given patent). For a patent application, the associated patent applicant(s) and patent examiner(s) must disclose and cite existing references that may be material to the pending patent application, including patent document references. A citation can imply that the cited reference anticipates or renders obvious one or more claims of the pending application, or it may just denote that the cited reference discloses aspects related to a technology area associated with the pending application. I have often heard from patent professionals that the number of forward citations that a given patent has is a strong indication of its relevance. In my experience, the number of forward citations metric often indicates something other than the relevance of associated claims within that patent document. First, one must consider that more-recently-issued patents will not have had much opportunity to be cited yet, which means that comparisons of forward citation metrics need to be limited to patents issued within a relatively narrow time frame. Second, with a duty to disclose, some patent applicants and practitioners cite many more references than might be needed or expected, and as such will include several patent references where the cited patent is not of particular relevance to the pending patent application. Next, in my experience, patent examiners will find “favorite” patent documents that have a large omnibus specification and describe well the state of the art at the time of application filing, but citations of these patent references indicate nothing about allowed/issued claims of these references. In fact, patent examiners do not normally specifically point to claims themselves, but to patent specifications and drawings, which means that there is no qualitative assessment of the claims themselves for a citation. Because the claims define the scope and value of an associated patent, and since the examiner is not referring to the claims in citations, one cannot read much of an indication of relevance into such a citation. 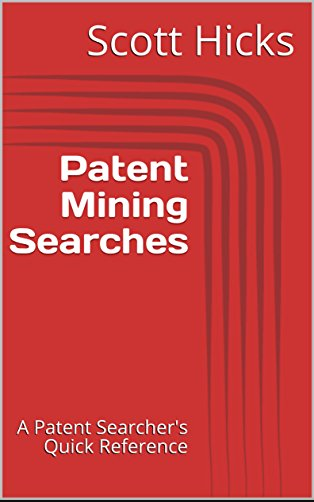 Last, some large corporate patent filers have large collections of their own references in various technology areas to include in Information Disclosure Statements (IDS), thereby citing many of their own patent documents without specific regard to the actual relevance of these citations. For these reasons, I always take the metric of the number of forward citations with a healthy pinch of skepticism — there is no substitute for actual claim analysis by an expert in the associated technology area. One numeric metric I find much more often indicative of relative patent quality (within a technology area and particularly within a patent family) is the number of words in independent claims — I’ll leave this discussion for another day. AcclaimIP’s description and caveats for using and understanding forward citations. Jackie Hutter’s real-life example for not overly relying on the number of forward citations. I agree with all of the above. This is why the company I am associated with, Ambercite, developed AmberScope, which combines the citation references of a number of different patents in the area, and compensates for the age of the patent, to come up with an improved and more holistic view of patent quality than is given by forward citation count alone.